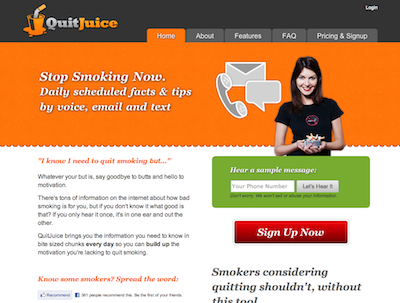 QuitJuice empowers by informing you a little every day so you can keep on track. You don’t need a smart phone, or even a computer to use it once it’s set up. Great to use alongside any/all other smoking cessation products. Next post: WebPlanner.com – Plan and Collaborate. Seamlessly.